The function of the store is changing. As technology advances, friction decreases and physical space is freed for for other uses, such as immersive experiences and fulfillment centers. Today’s on-the-go consumers expect their in-store transactions to be as frictionless as their online ones. By automating processes and transactions through technology, such as biometrics or connected apps, retailers are shrinking—or even eliminating—their points of sale, creating extra space and allowing retailers to put more resources into elevating the in-store customer experience. As the endless availability of ecommerce channels fosters a see-now, buy-now mentality among consumers, this places increasing pressure on retailers’ distribution channels. As detailed in PSFK’s Store Experience Design Debrief, here’s how leading retailers are meeting demand for speed and immediacy by using the physical store to fulfill online orders, shipping orders directly from the store and installing self-serve pickup kiosks that empower on-the-go consumers to easily retrieve online orders at their convenience. At select locations of Hema, Alibaba’s cashierless supermarkets in China, shoppers can pay via facial recognition at special face-scanning kiosks. 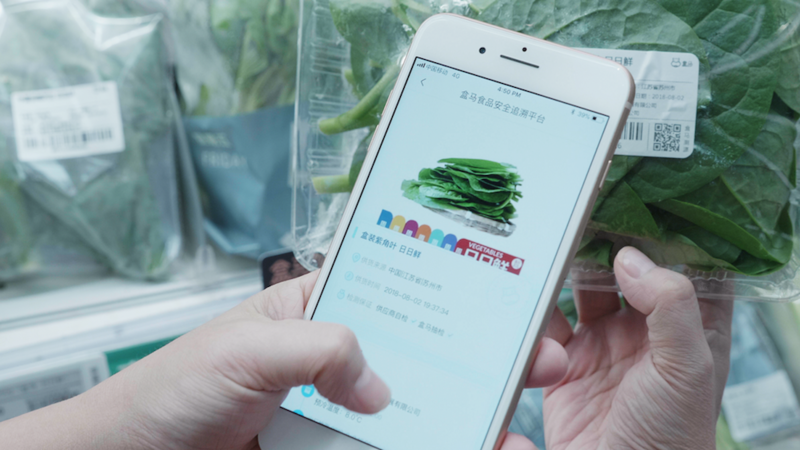 Shoppers also have the option to check out via the Hema app, which is connected to Alipay, Alibaba’s mobile payments platform. The app also logs their purchases, saves their delivery address and preferences and allows them to scan items to learn more information, including product origin, nutritional information and cooking instructions. Warehouse club store Sam’s Club lets members pay for their purchases on their phones, rather than wait for a cashier. 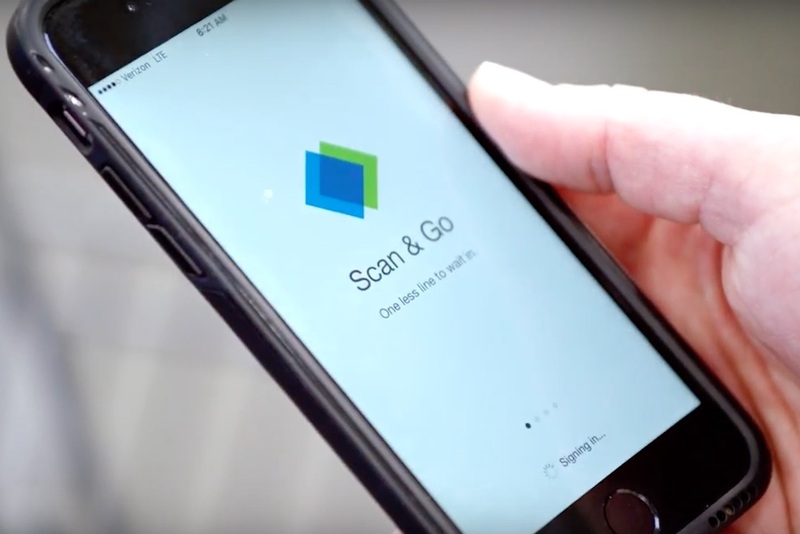 Using the Scan & Go app, members can scan items as they add them to their carts, which also has the added benefit of letting them track their spending as they shop. Then, instead of standing in line to check out, they can pay with their phones and receive a digital receipt, which they show as confirmation when exiting the store. Users can also opt to text or email their receipts to themselves or family members. 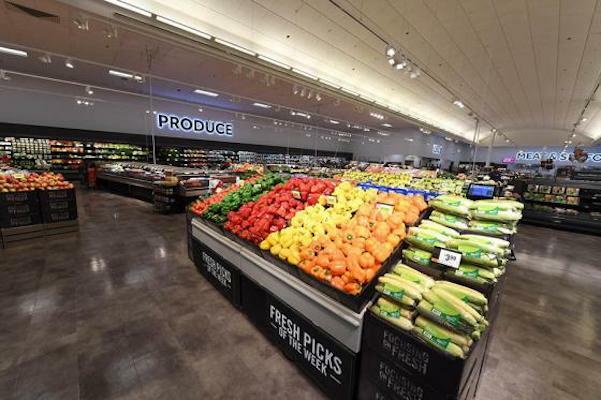 Grocery chain Stop & Shop has renovated a store in Windsor, Connecticut, to include a 12,000-square-foot in-store fulfillment center, in order to automate and streamline the fulfillment of online grocery orders. It partnered with Takeoff Technologies, a startup that builds mini warehouses with robotic arms that retrieve shoppers’ items, which are kept in bins stacked to the ceiling to save space. The center is part of parent company Ahold Delhaize’s plan to focus on ecommerce solutions, including the launch of more than 600 click-and-collect locations in 2019, with the aim of making same-day delivery or pickup accessible to more than 65% of its customers by 2020. Grocery retailer Carrefour is testing a new convenience store format in Paris that pairs a wide selection of fresh produce with digital services. This concept store stocks half the number of processed and dry food products as a normal Carrefour location in order to create more space for fresh food. To compensate for the limited selection of processed food SKUs, the store includes a click-and-collect pickup point where shoppers can access over 10,000 products from its online store. For more ways that stores are reimagining retail space, download PSFK’s Store Experience Design Debrief, available today.